On 12 April 2015, Hillary Clinton formally announced her intention to run for President in 2016, casting herself as the ‘champion of everyday Americans’. With near-universal name recognition and the promise to make history as the first female occupant of the Oval Office, all seems set for Hillary to secure the one role that has eluded her to date, but what drives this most intriguing and polarising of political figures? Will she be able to shake off her past mistakes and finally secure the Democratic Party’s nomination? What are her chances of winning the White House? And, perhaps more importantly, what kind of President would she make? 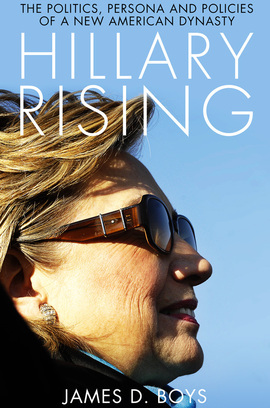 Drawing on original interviews with close associates of both Bill and Hillary, as well as a wealth of recently declassified materials from the Clinton archive, James D. Boys offers a clearsighted, non-partisan analysis of Hillary’s rise to the pinnacle of American power, revealing the political ideology and core principles that have remained a constant throughout.